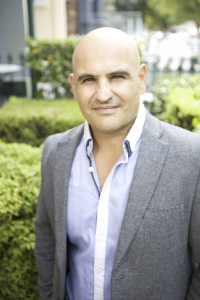 Leading Sydney based Integrative Medicine Practitioner Chinese Medicine Physician, Dr Jason Mallia is the founder, director and principle Clinician of Integrated Health Australia. He is a Registered Acupuncturist and accredited Doctor of Integrative Medicine Practitioner (USA) having received accreditation in Australia, the US and other countries worldwide . Dr Jason is one of Australia’s most qualified Integrative Medicine Practitioners and considered one of Australia`s leading healthcare Practitioners with over 20 yrs experience as healthcare professional and a background in all major natural medicine modalities including training in , Naturopathy, Nutrition ,Chiropractic science, Osteopathy, Acupuncture and Herbal Medicine.He has appeared on radio both locally and abroad and is a published writer for the Journal of Natural Medicine ( South Africa). In his early years a fitness consultant and personal trainer Jason discovered that optimum nutrition was key and foundation to attain health and well being. He has a strong background in clinical and sports nutrition, having worked with many top-level athletes in this time (having consulted to the Tigers Rugby League Football Club for nutrition) and other NRL clubs through JRM services for manual therapy. He has also worked with various top level triathletes, boxers and elite soccer players (AC Milan) and AFL players. He is currently the team integrative sports Doctor for the Malta Rugby League National team. Over the past decade Jason’s practice has evolved simultaneously with his own personal development. In this time with experience he discovered the true value of “Integrative and individualised medicine” and its importance in restoring health and balance, he understands and respects each individual modality in the healthcare system and understands when they are required. Jason works closely with Medical Doctors in order to give patients the best possible care and attention to their health needs. Jason has achieved success through his own healing and has brought these experiences and tools into his clinic to help others. He strongly believes in “practicing what you preach” and also that we are all individuals and require individualised, specialised health care. It was a pure natural process that led him to become an Integrative Medicine Practitioner . In practice today Jason uses an unique integrative approach to healthcare and utilises all of his training to provide the best integrative health programs for his patients.He has found Naturopathic Medicine , Acupuncture and manual therapy along with evidence based natural medicines combined with a scientific approach to be the perfect combination in practice today. Jason has assisted people with many health issues however he has special interest in muscular-skeletal imbalances, all types of pain (including back pain and neck pain), chronic health problems such has Lupus , Depression , weight loss, heavy metal toxicity, gut/digestive issues, Paediatrics (ADD ADHD), infertility, cancer support and detoxification. He also has been involved in palliative aged care for 7 years. (Please see his testimonial for further information)After years of clinical nutritional practice and personal experience behind him his he was led to specialise in the Blood Type/ genotype system of personalised medicine . He was the first Australian trained blood type practitioner having trained under Dr Peter Dadamo in the US some 15 years ago . Jason utilizes blood type specific protocols for management of acute and chronic disorders along with various tools including Live Blood Cell Screening, Biofeedback Analysis, integrated body screenings and Medical Pathology tests to enable him to gain a comprehensive view of his patient’s health. Jason also has become involved in training the general public and practitioners on Blood Type Science and is Master instructor of the Dorn Method. The Wounded Healer Find your Health, Discover your Clarity, Live your Purpose! Master of Chiropractic 3 years qualifying program (Macquarie University Sydney) (PG Dip Equivalent) diverted to Osteopathy.